5 Ways JFK Still Influences Presidential Politics : It's All Politics John F. Kennedy redefined the art of campaigning. Thanks to him, televised debates took on greater prominence, and primaries grew in strategic importance. Then-Sen. John F. Kennedy showed some of the charisma that powered his presidential bid as he greeted college students in Charleston, W.Va., in April 1960. The 50th anniversary of John F. Kennedy's death in Dallas is a time when much attention is aptly focused on the abrupt and tragic end to his presidency. But it's also a moment to consider the beginning of JFK's presidential story, since he redefined the art of campaigning for the White House. Kennedy ushered in an era of successful presidential candidates who weren't anointed by the party establishment — they chose to put themselves forward as presidential candidates. After Kennedy's 1960 run, Jimmy Carter, Ronald Reagan, Bill Clinton and Barack Obama all followed his model of elbowing aside other candidates with seemingly more claim to their party's nomination. It can't be said often enough: Kennedy's charismatic and poised performance in the first-ever televised presidential debate set the standard for all future debates. A solid television debate performance has now become a way for nominees, especially those running against a much better nationally known opponent, to level the field and erase doubts, just as Kennedy did against Richard Nixon in 1960. Since then, the importance of nominating a telegenic candidate has only grown. While primaries existed before the 1960 campaign, no prior candidate used them as strategically as Kennedy did to establish his electability. That's now the conventional approach for well-known and lesser-known presidential aspirants alike. Kennedy proved he could garner votes by winning both the Wisconsin and West Virginia primaries. The latter primary was especially vital to proving a Catholic could win in a largely Protestant state. Kennedy pioneered the political use of a speech to address broad concerns about a candidate being from a racial, ethnic or religious minority. In West Virginia and elsewhere, Kennedy spoke directly about why his Catholicism shouldn't bar him from the presidency. But he made his most famous speech on the issue in September 1960 before the Houston Ministerial Association. In 2008, Obama's speech on race in Philadelphia and Mitt Romney's 2007 speech on why his Mormon faith shouldn't be an issue in the Republican presidential primary came straight out of Kennedy's playbook. Long before Obama, it was Kennedy who first embodied both Hollywood-like celebrity and charisma in a presidential candidate. Indeed, JFK was first to link presidential politics to Hollywood in a big way, only to be followed in that by Reagan and Obama. 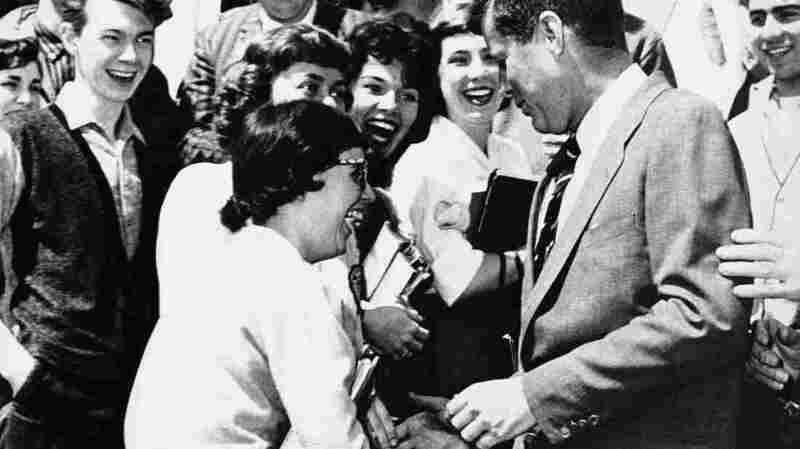 Kennedy's personal star power helped him win the 1960 Democratic nomination; later, candidates like Reagan (who had real Hollywood bona fides), Clinton and Obama had leading-man chops that helped to separate them from political rivals. While a candidate can win the presidency without that aura, the absence of that quality makes it a far tougher task to raise the vast sums of money necessary to run, or to energize enough voters, or to win the White House in the screen age — whether we're talking TVs or smartphones.